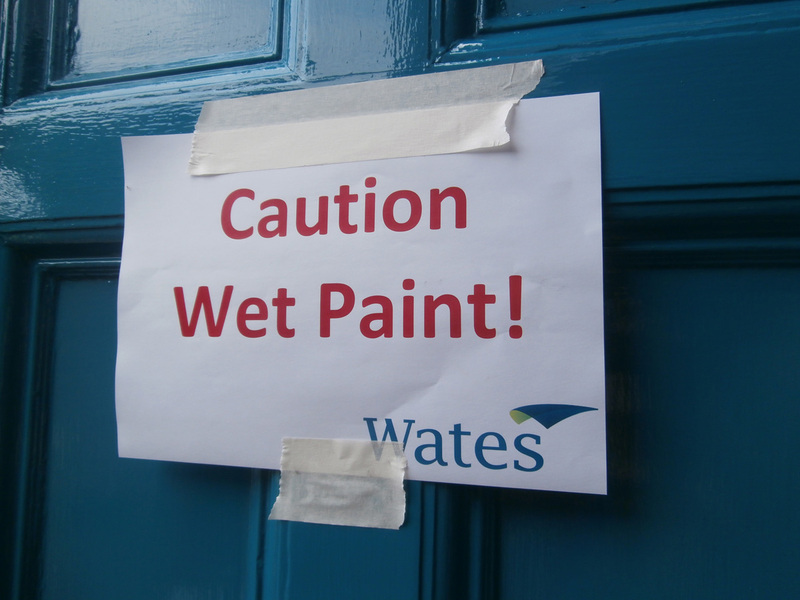 The proverbial phrase ‘watching paint dry’ is a reference to the act of watching something that has virtually no movement – hence something very boring, of course. But within the Tankerville Old Building on the last Study Day before the girls were due in for the start of term, I, for one, certainly found it a wryly amusing experience. The same signs were everywhere you went on September 5th. 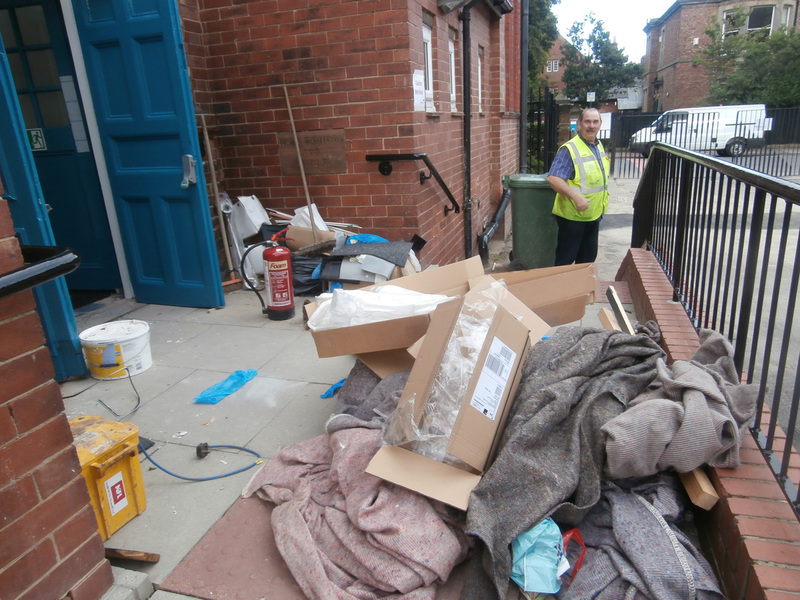 It had always been patently obvious to me that making the hand-over on time was going to be very ‘touch and go’ and every workman I had talked to onsite agreed that the Old Building had been ‘taken back’ far more than it needed to have been. Thus, walking around the ‘Old Girl’ that day, it was very hard to believe that she was meant to be functioning as a school once again in less than 24 hours. 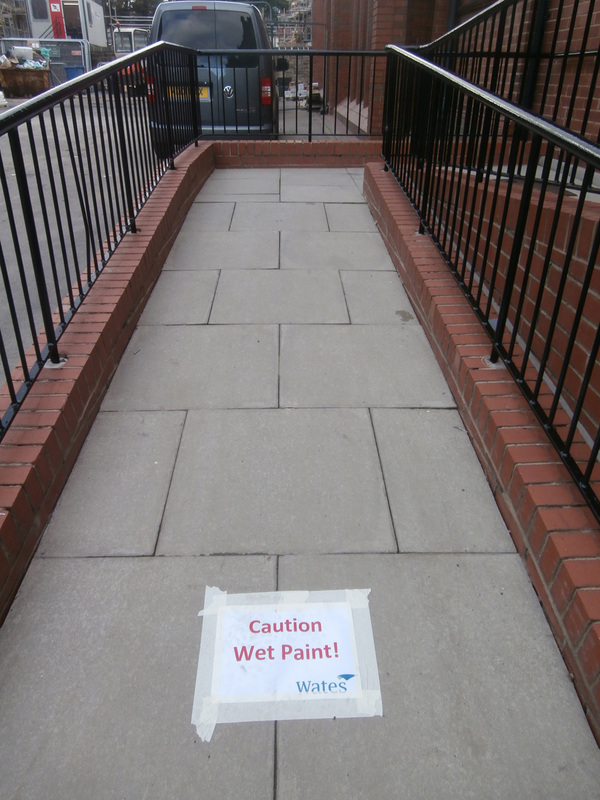 This was the state of the bottom corridor on the way to our office. Unique NHSG carpeting beside the side door. Clearly ‘all the gloves were off’ now to make one last big push! 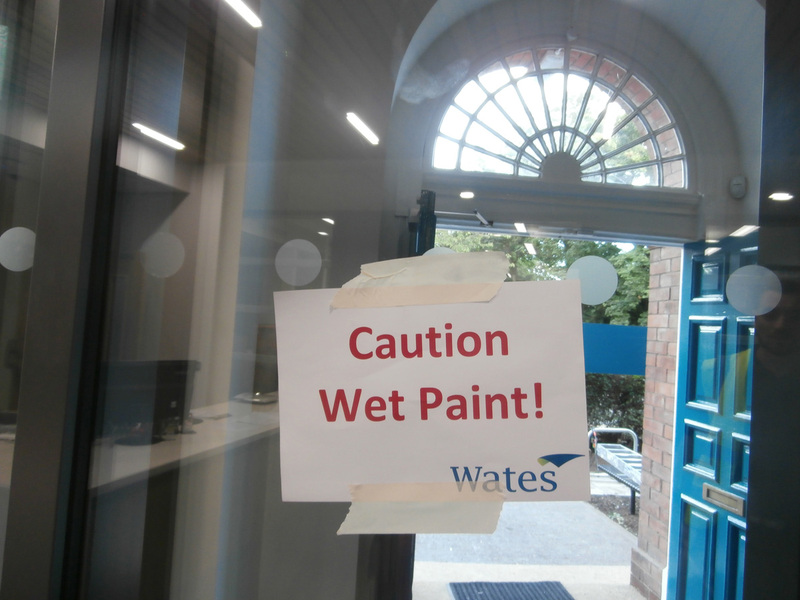 The original side-panelling of the old south staircase gets one last coat of gloss paint. Just beyond the side door, the state of affairs was even worse. I’d never ever seen it looking this way in all my time at Church High. Wates’ Colin Gordon stood surrounded by an utter shambles. 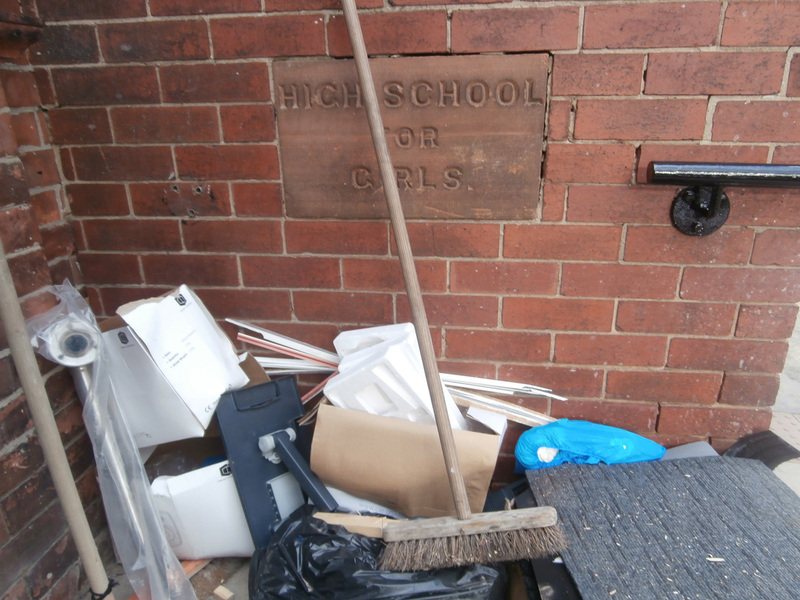 If one needed any further evidence that Newcastle High School for Girls was still very much a ‘work in progress’, this picture I took on that morning, without any tweaking at all, summed it all up perfectly. Things were evidently in a precariously ‘interesting’ phase now and it was obvious to all from people’s faces that the mood was fraught. Outside, the car-park was full – but not with cars – and, back inside, the under-stair storage space was now white – but noticeably bare. 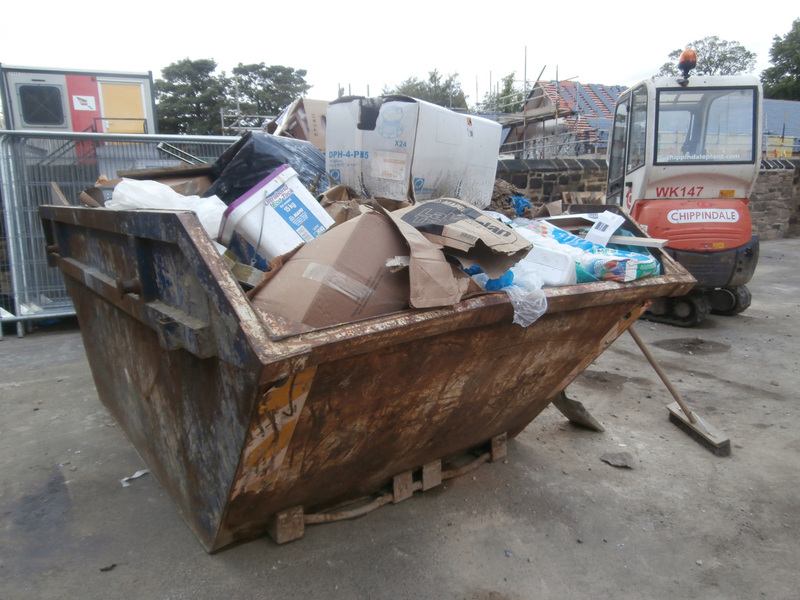 All still ‘Topsy-Turvy’: this skip is still very full (& still there!) 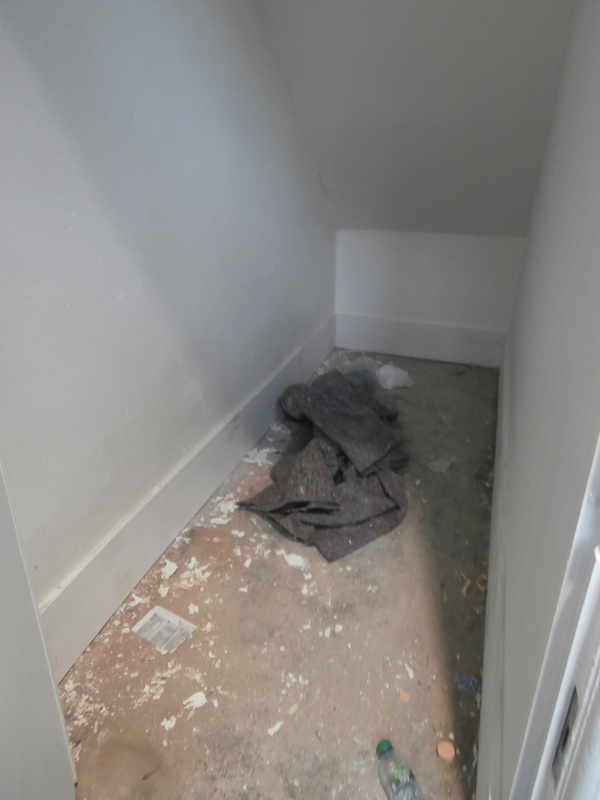 and the PE under-stair storage cupboard is still very empty. On my way back along the bottom corridor, I saw Delia Hefford coming towards me at speed. She fired off over her shoulder that I should make my way over to the Sports Hall – fast: “There’s a load of our stuff going to be cleared out over there”, she indicated, “and underneath it I can definitely see Church High Honours Boards.” The words Honours Boards were all I needed to hear to turn on my heels and head across there straight away. 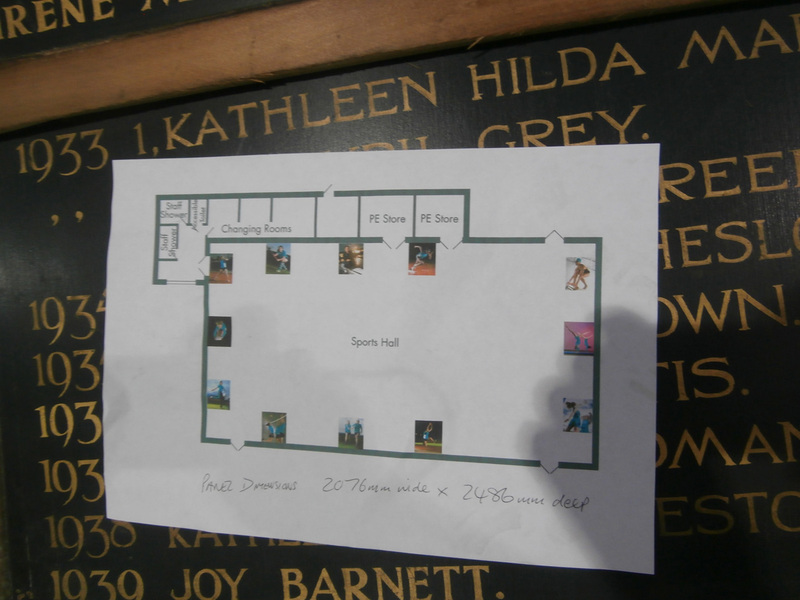 I knew the boards from the stage, which we had left in place, had been taken down at a later date and moved to the Sports Hall for ‘safe-keeping’, along with other plaques dotted around the building that Alan Younger told me he had marked with a red spot. The fact that I have never seen the dedication plaques from the LRC and the Barbour Wing since should be enough to explain my swift about-turn that day. A crying shame. I do have a photograph of the Barbour Wing plaque for posterity, but remember trying to take one of the plaque in situ in the LRC and failing when I took my ‘goodbye’ shots of the empty building. If only I had persevered with it, but I really didn’t think things like that with historic value could be just thrown away. But I know different now. 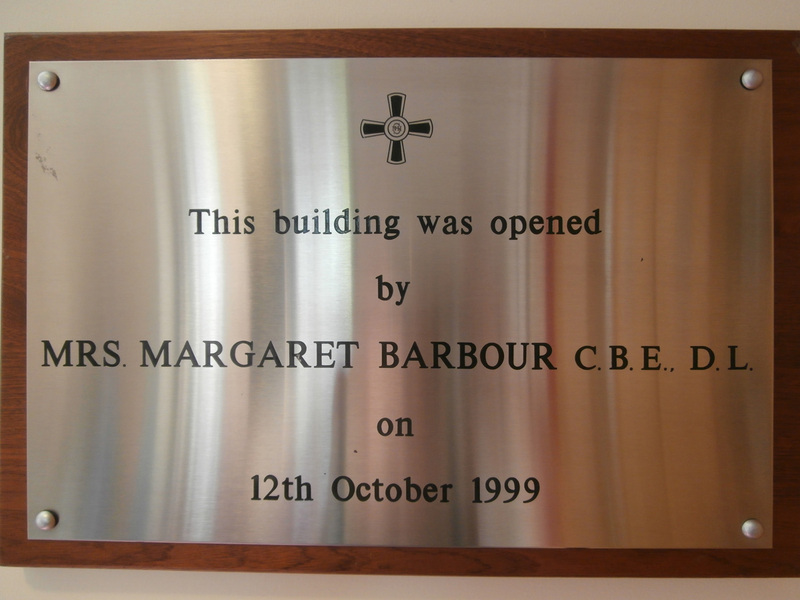 This plaque, unveiled by Dame Margaret Barbour, used to be mounted on the wall to the left of the Art Block doorway. 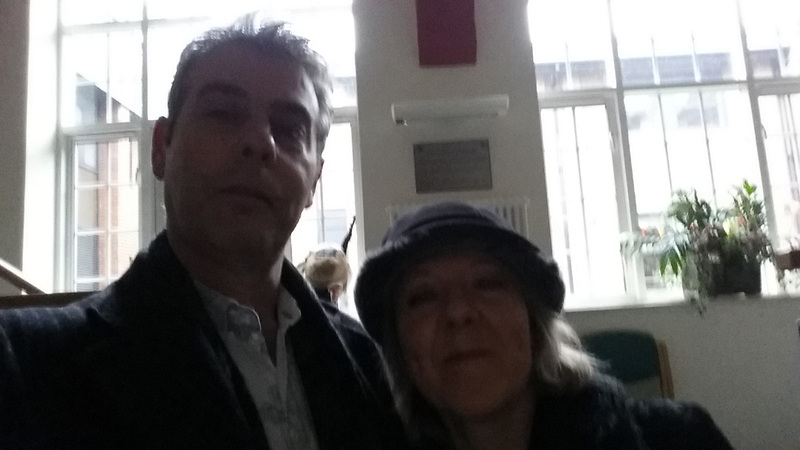 This last photo in the LRC with IT Manager Steven Farrell, who was responsible for the interior design of the space, was taken in November 2014 with the dedication plaque deliberately behind us. Already on sick-leave with burnout by this point, Steven was allowed access to the Old Building to finish clearing his office. Too good an opportunity to miss for me. When I got over there, Delia was right. 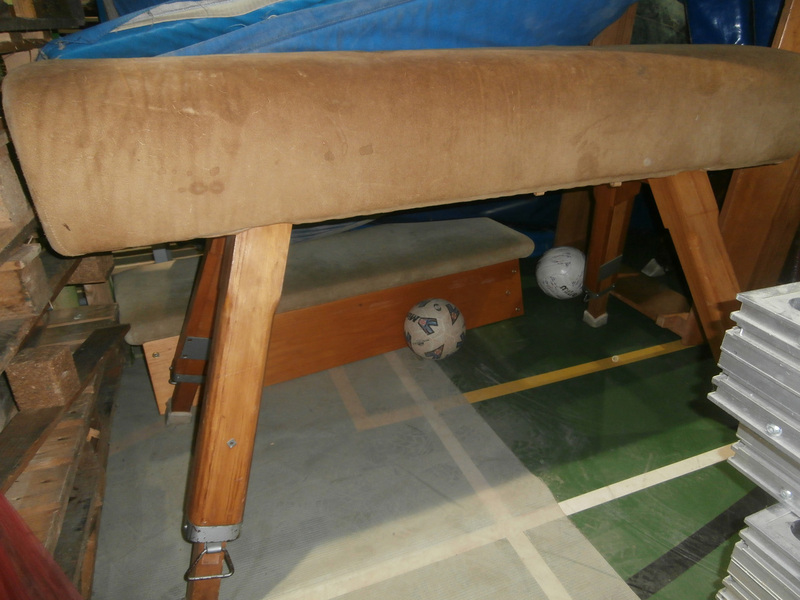 Things were now starting to move on in the Sports Hall. 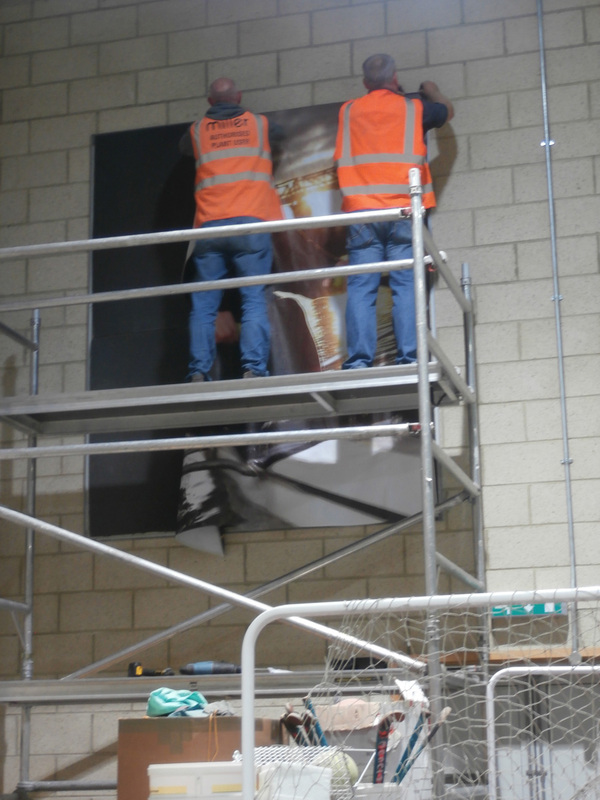 Workmen were in the process of fixing large canvas NHSG sports photographs to the walls, printed by Paul Rea’s company it seemed. The first thing I saw when I entered was two men in fluorescent jackets high up on a scaffold tower against the far wall, but it was the clutter beneath them I was interested in. 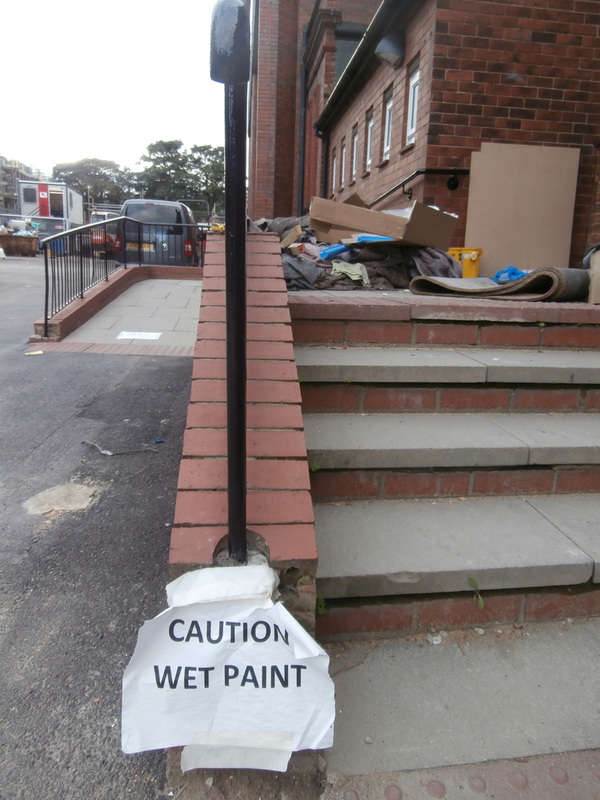 It’s not just clutter beneath that scaffold, it’s all the ‘Things to be Kept’ from Church High. 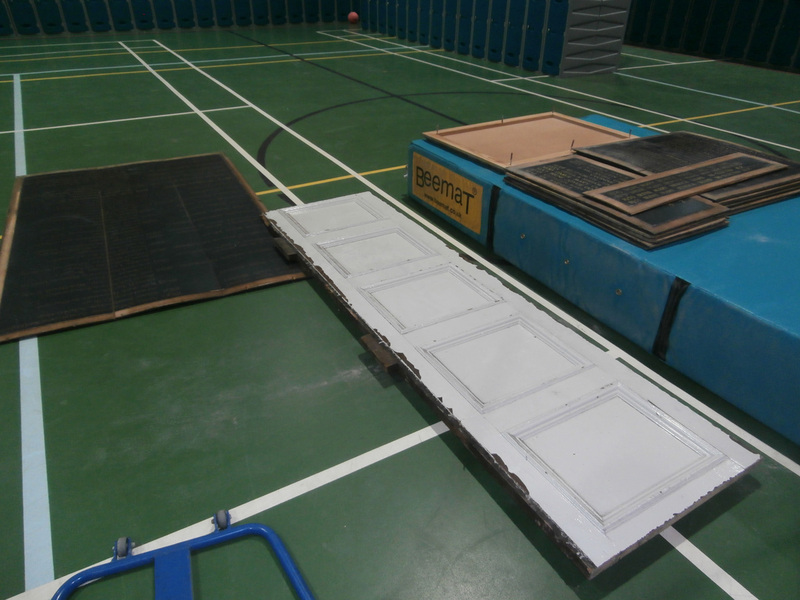 Since nothing was being renovated inside the Sports Hall itself, that big echoing space had become the storage place for all manner of ‘Things to be Kept’ from Church High. In the end, I think an awful lot of it was ultimately thrown away, but that wasn’t going to happen before I’d had a good rummage through it – just to make 100% sure. I had visited this little dumping ground twice before and did know that the Honours Boards, there for safe-keeping, had somehow ended up at the bottom of it all. My mission that day was to ensure they weren’t thrown away ‘by mistake’ and just to have another good root about. It was dusty and very precarious climbing in, out and over it all, but rather exhilarating too. But then one of my very favourite books from childhood was Clive King’s ‘Stig of the Dump’! Let’s see how many things you can recognise from the shots below. 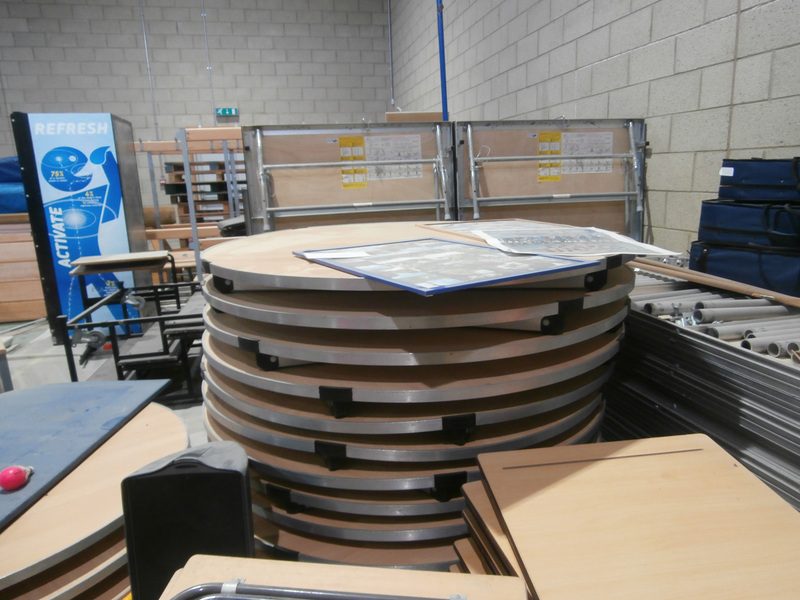 I don’t know about the old leather vaulting horse, but the circular dining-room tables have certainly failed to resurface. Of course, one man’s rubbish is another man’s gold-dust. 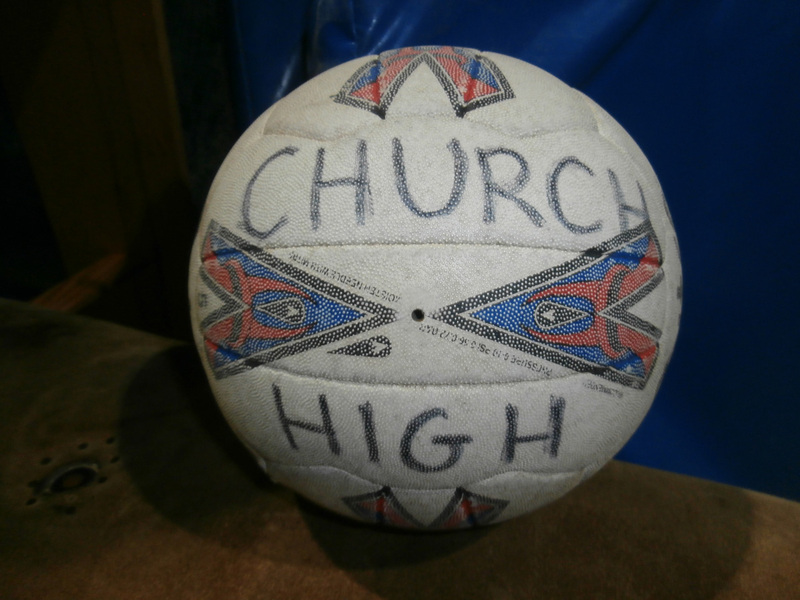 I recall two of our sixth-formers talking while still in Eskdale pledging that the first thing they would do when they got back into the building was to go straight to the Sports Hall and find a netball with Church High written on it. As I took the shot below, I wondered if they’d succeed. What odds this netball will survive? No, I think ‘not high’ too. This is not the first time Newcastle High School for Girls has moved lock-stock-and-barrel from a temporary home to this site, of course. Another of the weird reoccurring patterns in this merger process. 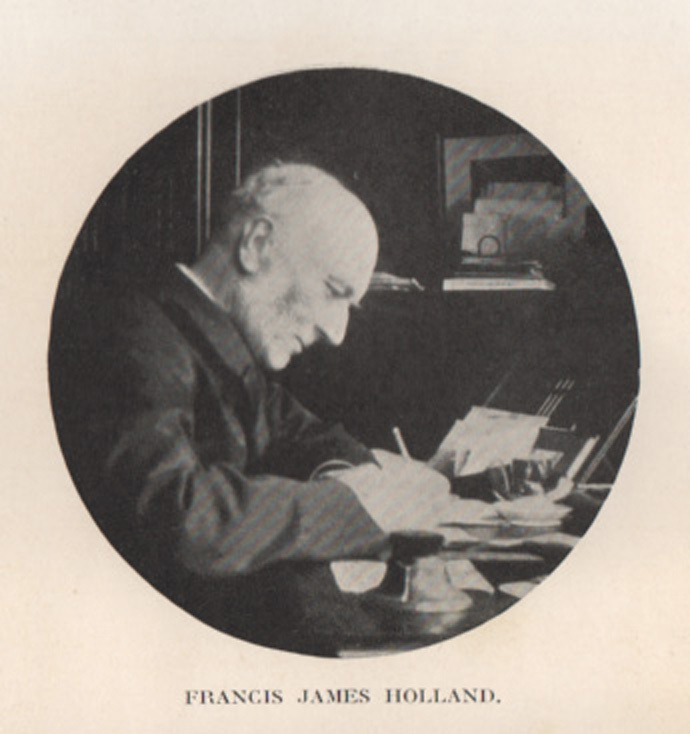 And when the original Newcastle High School was created, we know from the October 9th 1884 Minutes of the Church Schools’ Company Education Committee that it was Canon Francis Holland who did the inventory of furniture having offered ‘to visit Newcastle and make a selection of such articles of furniture as in his opinion the Council should take over’ [from Miss Hewison’s School on Jesmond Road]. Because, eerily, there are similarities between the founding of Newcastle High/Church High School and the start of NHSG, the Church Schools’ Company being set up on a similar business format as GDST. The Council Minutes of October 10th 1884 clearly state that ‘the Education Committee shall have full powers to complete the schemes for reorganisation of Miss Hewison’s School at Newcastle, especially in reference to the arrangements for utilising the services of the existing staff of teachers’. Indeed, an amendment was even passed at the same time ‘to exclude Miss Hewison from the privilege of teaching either directly or indirectly within 20 miles of Newcastle except in connection with the Church Schools Company’. I wonder how Miss Hewison felt about that? As well as furniture and crash mats and sports equipment of all sorts, I recall there was a big stack of wooden boxes containing microscopes there too. But, stage Honours Boards aside, I was much more interested in things like a big piece of original panelling which had clearly been removed from somewhere around the Hall stage. 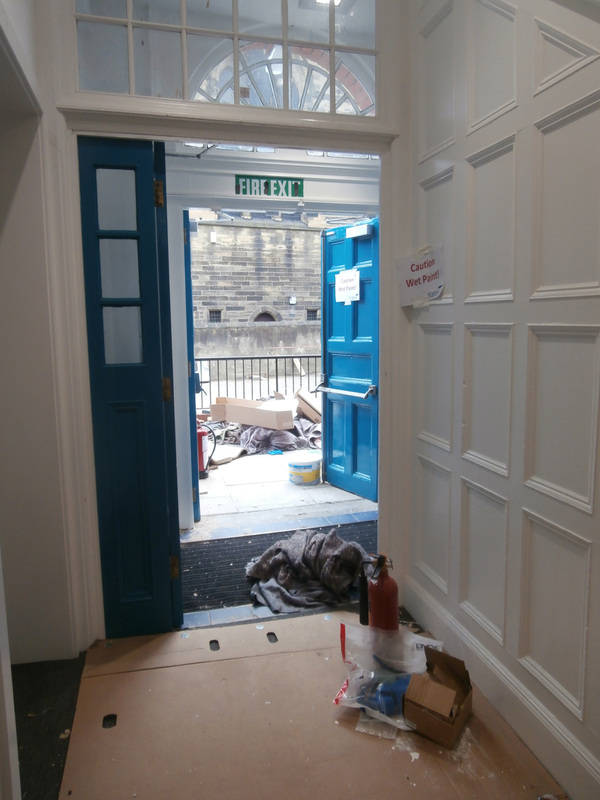 I spy, hidden amongst all the clutter, what was definitely a piece of original Hall panelling. With the help of one of the guys working nearby, I even took the precaution of moving the panel to ‘safety’ next to where the Honours Boards had recently been stacked on a crash mat to avoid any confusion that they were to be ‘kept’ and not ‘chucked’. It was really heavy and I wasn’t sure what could be done with it, but I would think about that later. I needn’t have bothered, of course. 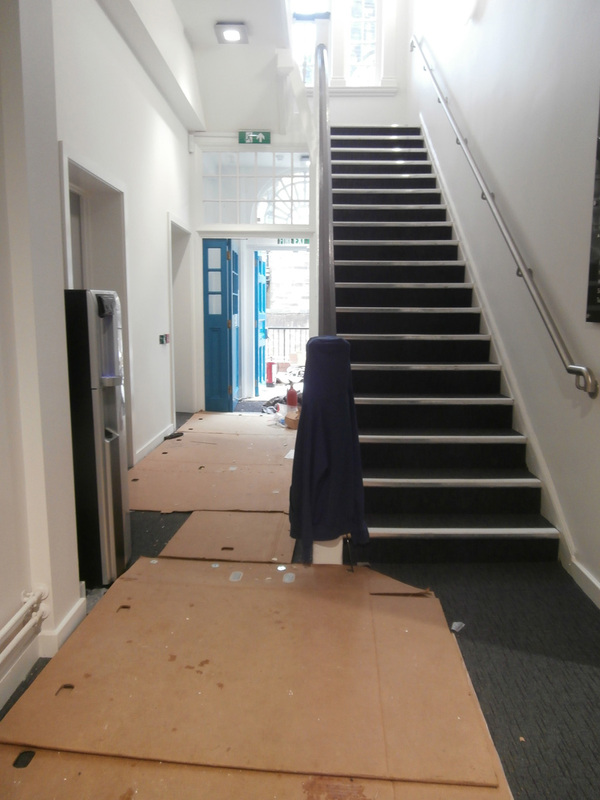 When the boards were eventually moved to Tankerville House [they are now in Westward House – or at least should be], as far as I could see, the old panel was nowhere to be seen. I passed anger long ago. I was always trying to keep on top of shifting sands. I did the best I could. 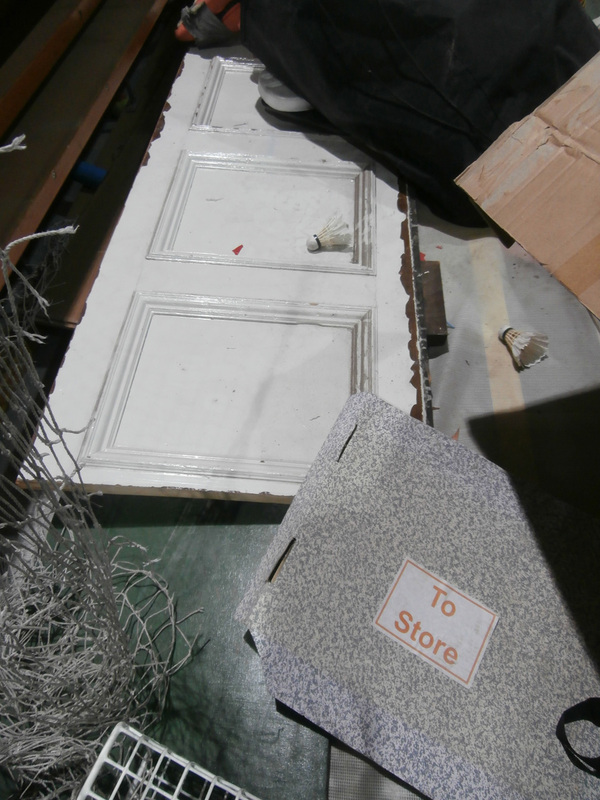 I worked hard to ensure the Stage Honours Boards were safe. I didn’t take a photograph of it, but I tore a big sheet of paper from the Church High examination flip chart board – remember that? – and laid it across the boards we had moved onto the crash mat. With a green whiteboard pen, I wrote ‘To Keep: Do NOT throw away!’ When I next caught up with Giuseppe, he laughed and told me when they saw it, they’d said, “We know who wrote that!” This was a couple of days later and I had another ‘thank you’ to say by then. 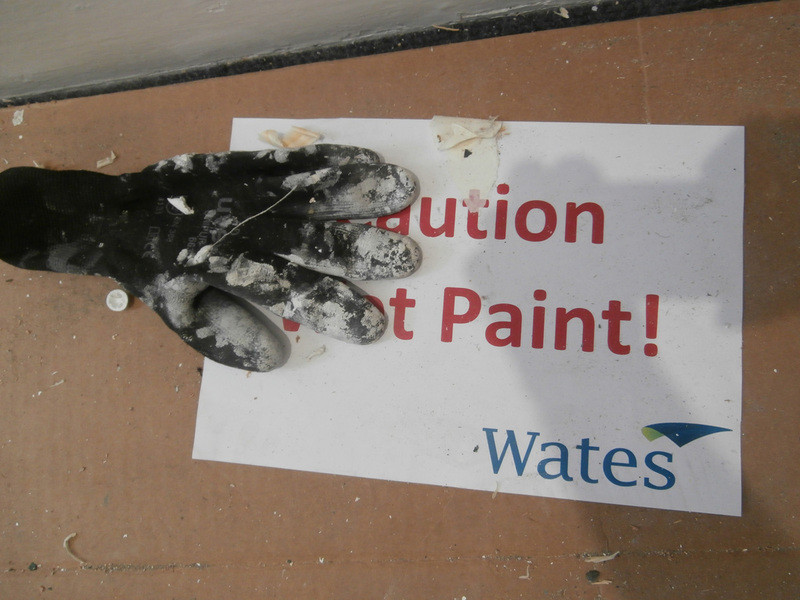 It was a quirky parting gift, but when I returned to check on the boards the next day I found something very colourful positioned on top of my A1 sized sign. I knew it was one last archeo-gift from Giuseppe the minute I saw it, as he had told me about this unusual item he had spotted in a storage area. 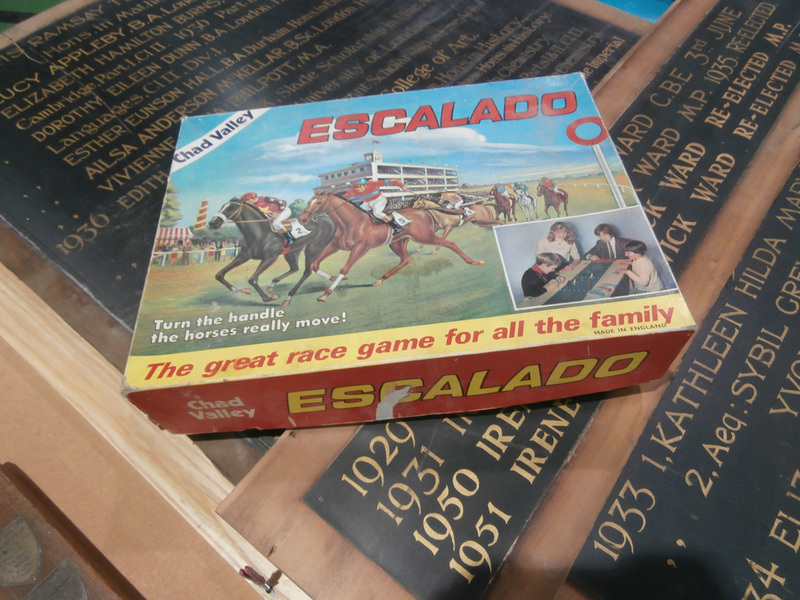 It was a horse racing game called Escalado. If you think in metaphors like I do, that game summed up the whole gamut. For in this chase, the stakes were high, the odds poor and we were the ones carrying the handicap from the very start. Archeo-gift No.4: Giuseppe’s last ‘present’ was appropriate in more ways than one. Church High WAS a fun place to work! ‘There’s an old Piano and they play it hot behind the green door…..’ I wonder how many teachers can remember how sometimes very early in the morning, long before any girls would arrive, how a certain teacher would fill the building with her piano rendition of Keep the Red Flag Flying…..?